The NFL started the second week of the offseason off hot with a few signings around the league. 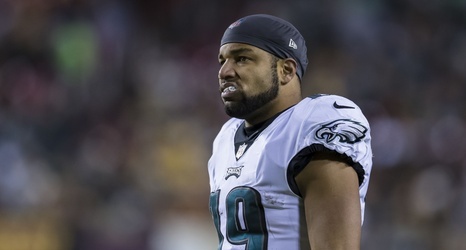 As you might’ve heard by now, a potential signee for the Philadelphia Eagles recently inked a deal with the Cleveland Browns. However, that isn’t the signing that had one of the Eagles wideouts sending out a strange tweet on Monday night, though. ESPN NFL Insider Adam Schefter was going about his day and doing his job on Monday afternoon when he tweeted about the Atlanta Falcons signing linebacker Bruce Carter to a one-year extension.